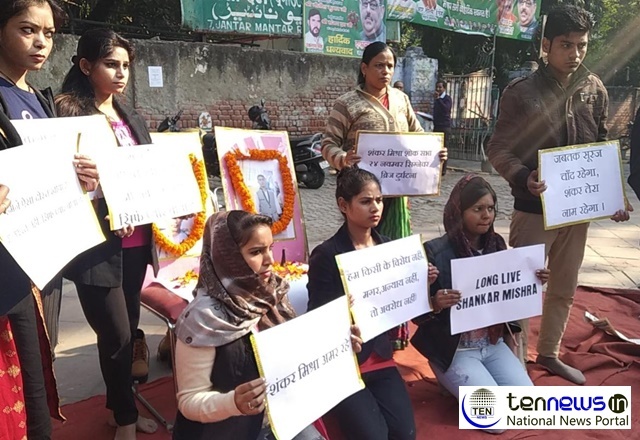 New Delhi : Today, family members of Shankar who died in a road accident that happened recently on Delhi’s Signature Bridge, peacefully protested on the grounds of Jantar Mantar with an aim to re-open the file of the accident which according to police is an open and shut case. These family members who protested surveyed the bridge and found some of the faults that could be the reason to the accident. The motorcyclist was killed on Delhi’s newly opened Signature Bridge on 24th of November, a day after two medical students on a bike were killed after ramming a divider and falling 30 feet. Two cousins on a bike were going from north Delhi’s Nangloi towards north-east Delhi when their motorcycle skidded on the bridge at 8:20 am, the police said.